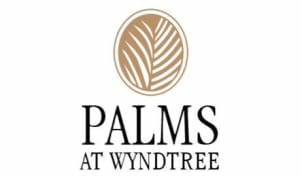 Located in the desirable Trinity area, Palms at Wyndtree is just off of Mitchell Boulevard near Seven Springs Boulevard. With our central location, you are close to dining and shopping, but still get the feel of a residential neighborhood. Our location makes it easy to get to Tampa, Clearwater or St Pete.